It's been an exciting first week at MIT. School hasn't even begun yet, yet we've already finished a quick (?!) exercise during the pre-orientation workshops. In this short one-week pre-orientation workshop, we explored modular geometries. In mine, a three dimensional auxetic macrostructure, derived from a two dimensional microstructure, is used as the framing of an inflated tent. This way, when the structure is inflated, all members are in tension rather than compression. We didn't have the opportunity to really explore the geometry and its application, but a lot of fun was had creating the exhibition panels. 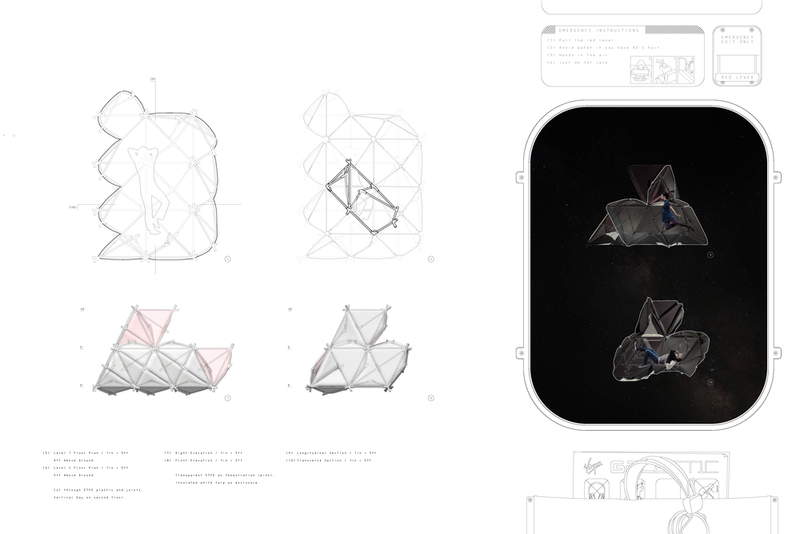 Each rounded rectangle resembles a spaceship's window into the outside world, which is comprised of rendered images. 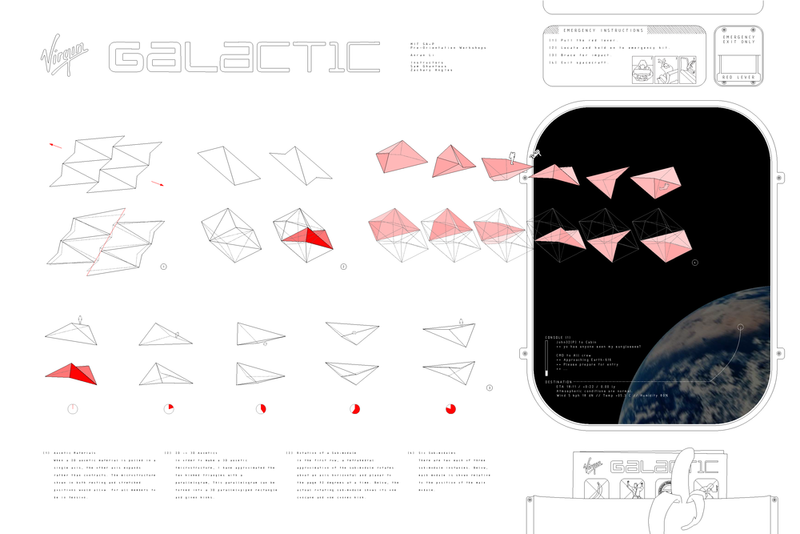 In contrast, technical-style drawings comprise the white space on the panels. Easter eggs are littered throughout. Have fun! Oh hello there. Welcome to this text box on the right. It looks like it will explain everything to you, but how can it? It's just an invisible boundary. There is no clarity here, only answers without a question.